16' Storage Container - Northwest Recycling, Inc.
Northwest Recycling’s 16′ storage container is just right for maximum organization of your work site or personal belongings. Not too big yet not too small, 16′ storage containers are a great solution for your in-between or odd-sized storage needs. 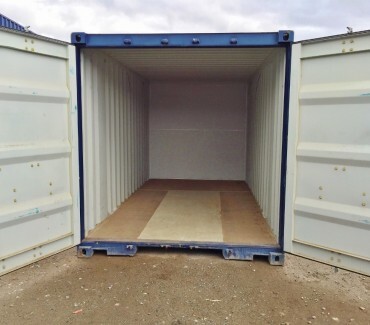 16′ storage containers have two swinging doors on one end of the container. Fill out the brief rental container questionnaire below to receive a quote. Are you interested in renting or buying a container? Multiple selection ok. Check the container type you are interested in. Feel free to select multiple. What city do you need delivery to? For quoting purposes.